SPIRITUAL SIGNIFICANCE of 2012 | MY SACRED JOURNEY . . .
Today (10/25/09) I delivered a sermon, “The Spiritual Significance of 2012”, at my local Ocean Unity. Speaking at Unity is an honor I enjoy about once a year. Although the tone and words are directed at Unity values and precepts, the message is one that benefits us all. What is the Galactic Alignment of 2012? Our home, Earth, will be astronomically aligned with the center of our galaxy, the black hole at the core of the Milky Way. The Mayan Calendar is a time-coded calendar that shows us the evolution of life through a process of nine Underworlds. Coba, a Mayan site in the Yucatan, is the location of a tall stele describing trillions of years of time. The Coba stele was carved by Maya around 1300 years ago. It is the basis for the Mayan galactic calendar that we will be referring to in this talk today. The first Underworld (a Mayan word from Popul Vu) is 16.4 billion years long. Each one of these nine Underworlds is 20 times less long than the previous one. Which means that each one of these nine Underworlds is moving 20 times faster than the previous one. All nine Underworlds culminate on December 21, 2012 (or Oct. 28, 2011). Each Underworld is affecting all the other Underworlds as we move through time. Swedish biologist, Dr. Carl Calleman upon studying the Coba stele (a Mayan stone carving found in the Yucatan) and the timeline it represents noticed that the shift from one Underworld to the next coincided with well established evolutionary leaps in our biological history. For example, the “Planetary Underworld” began in 1769 CE, around the time humans discovered and developed industrial capabilities. And most of us here have lived to witness the huge leaps in technology … faster computers, the internet … which represent the rapid learning curve and collective connectivity of the current 20 year duration, the 8th Underworld, which started January 5th, 1999. What is the Spiritual Message of 2012? Only as we understand that the evolution of consciousness is primary to the evolution of matter, are we able to understand the Mayan Calendar. And as we begin to understand, a divine plan of unfathomable grandeur, reaching back all the way from the Big Bang to the present moment, becomes clear to our inner vision. The mapping of such spiritual energies emanating from the heat of the universe is what makes the Mayan Calendar unique. Only as we leave behind calendars that are based only upon astronomy and our local solar system, does it become apparent that life is inherently meaningful and always connected to a creative spiritual source. In other words, human beings are not subordinated to the whims of matter but rather are part of an all-pervasive evolution of consciousness. The Mayan Calendar is our chief tool for anchoring within ourselves a solid foundation of knowledge and hope that humanity is on the path toward an enlightened state of oneness with the universe. these words are not mine, they are the words of our ancestors. The prophecy of the Maya says, that in the time of the 12 baktuns and 13 Ahau, is the return of the ancestors, of the men of wisdom. For the people to find peace and to be happy. to not be afraid of the world. Take this message and spread it throughout the world. Many of you may have heard fearful predictions, especially as portrayed by the Hollywood industrial machine. These scenarios include extreme earth changes, such as a complete polar shift, to total collapse of life as we know it. We are very security conscious and can fear change. We want to know that we have our basic needs met; food, water, shelter, livelihood. Hollywood knows how to capture our fascination and profit from our fears. Movie-makers have taken a kernel of the Truth handed down by Maya and Hopi elders and exploded the facts into apocalyptic terror. We have already seen their Truth through current world realities we are facing; environmental challenges, economic hardships, wars and global threats. The Principles of Unity hold to a different vision of life that does not support fear. We know that God is Love and that our essence is of God. We also know that love and fear can not reside together. Love casts no shadow…. Other important Principles of Unity express that we are co-creators with God creating reality through thoughts held in mind…and…we align our heart-mind with God. If our minds are filled with thoughts of fear and doubt, through prayer and meditation we realign our lives with the Truth of our deeper connection with love, with God. The Maya elders remind us “not to be afraid of the world” and for us to find peace and to be happy. The most immediate way we have to experience this peace is through our Unity tools of prayer and meditation. Let us take a moment to access our sense of peace in this moment. Please go to the core of your heart, breathing deeply and meaningfully, knowing that each breath you take unites you with all of life. Let’s explore the words of Dr. Calleman, the Swedish biologist who has been studying the Mayan galactic calendar for many years. Calleman’s research perspective is influenced by his professional background, studying the evolutionary leaps in life on this planet forming our common biological process. “the evolution of consciousness is primary to the evolution of matter” and includes “a divine plan of unfathomable grandeur” Through comparing our biological history with the Mayan galactic calendar, it became very clear to Calleman that we are all part of a larger evolutionary journey, which completes in the year 2012. The most significant shift is from our identity with only material matters to our deeper journey as conscious beings. Unity Principles speak directly to developing our conscious awareness, preparing us all for our part in the next stage of our evolution as beings. “ life is inherently meaningful and always connected to a creative spiritual source.” In Unity, we call this source God, … as is OUR essence. “ human beings are not subordinated to the whims of matter but rather are part of an all-pervasive evolution of consciousness.” We’ve heard the phrase “mind over matter” and have our own version of this message in Unity … “Through thoughts, words and actions, we live the Truth we know.” By living the Truth of inner, spiritual knowing, we transcend the limitations of material reality. Back to the astronomical significance of the galactic alignment… What is actually aligning and what affect does this have on life on Earth? Barbara Hand Clow, researcher, teacher and writer, authored two key books, The Mayan Code and Alchemy of Nine Dimensions. “The nine dimensions are located on a vertical axis that grounds itself in the center of Earth and rises into the Galactic Center” (the black hole in the center of the Milky Way). In Alchemy of Nine Dimensions, Clow describes each of these nine dimensions in a way that reminds me of the Biblical stairway to heaven, but in this case, each step, or dimension, holds a higher vibration than the one before, ultimately reaching to the “Mind of God” and beyond to source. I begin to see additional parallels to the nine Underworlds of the Mayan Galactic Calendar, which are coming into alignment around 2012. Clow emphasizes the importance of accessing our multidimensional consciousness at this time in order to find peace in times of chaos and discord. It’s has been said…prayer is when we speak to God and meditation is when we listen to God. By activating our loving presence, with our heart-mind, we access our most direct channel to source. Now imagine raising our collective consciousness to align with the direct line to our Galactic Center. What message might we receive directly from God? It’s about raising our collective vibration to hear beyond the limitations of our human ears, to hear with our hearts. – The more ATTUNED we are to the time acceleration transition, the smoother we flow with the changes and can help other people, and can really enjoy this time. – HEAL our body, mind and spirit. Especially our personal and collective SHADOWs. (use meditation, yoga, counseling, therapy, education, etc.) Our Shadow is that part of our self or our world that we have disowned, usually the place of fear. – Retrain what we are thinking about, what occupies our minds. Don’t get attached to what appears to be falling apart (economy). – Stop thinking that our material needs will be addressed by the government and rethink our connection with family and community. – Reawakening your ability to be a CO-CREATOR. Develop INTENTION through affirmations and visualizations. Meditation prepares one’s mind by finding inner mental balance as well as the heart connection with source. One week from today, according to the calculations of Carl Johan Calleman, the Mayan Calendar reaches completion. I’ve had many friends, neighbors, and students ask me what the significance of this event means for they know I’ve been reading, studying, and meditating upon this subject for years. I have never felt this event to be a doomsday prediction, as sensationalized in the media to promote fear and emotional drama. In fact, for me, it’s represents an opportunity to move away from fear, to transcend the necessity of duality, a root cause of fear when seen from the point of view of me versus you. The archetypal “Hero’s Journey” that runs through the major arcana of the Tarot transmits this same message…a return to unity. 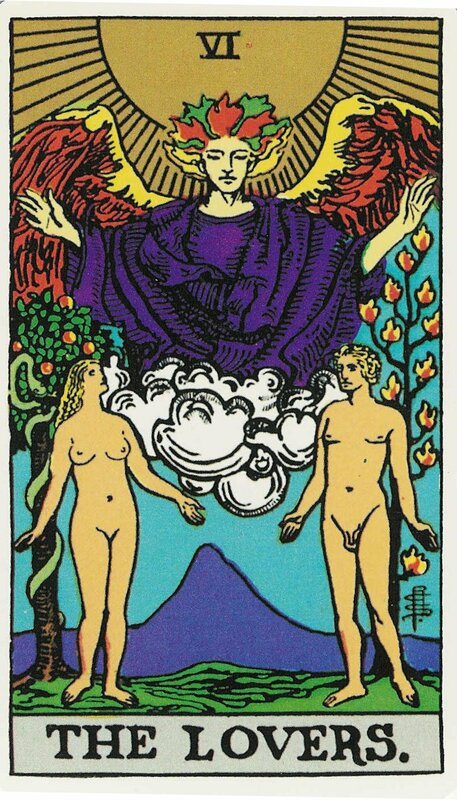 Rachel Pollack, in her brilliant book, The Kabbalah Tree – A Journey of Balance and Growth touches upon the symbolism of the two trees in the Garden of Eden, the Tree of Knowledge and the Tree of Life, both trees depicted on the Waite/Smith VI The Lovers trump. The Tree of Knowledge has classically been described as the portal to awareness of good and evil (duality), which resulted in separation from the Garden of Eden, the origin of oneness, albeit “a kind of unconscious harmony” as expressed by Pollack. She goes on to convey that the Tree of Life grew inside the Tree of Knowledge as a symbol that “Life is embedded in knowledge.” Pathwork through the Kabbalah Tree is designed to help us grow, in our knowledge of life, and, ultimately, our awareness of unity with the Divine. This journey of oneness, through duality, and back to Divine oneness, is what I call “The Sacred Journey of Your Soul” the namesake of this weblog. For over 15 years I have been associated with Unity Church, an organization dedicated to Divine unity consciousness. As a guest minister I’ve spoken about compassion as a gateway to unity awareness, as taught by Christs, Marys (female Christs), Martin Luther King, Jr., Mahatma Gandhi, and many other avatars of love. One of the greatest challenges to being more compassionate is the notion that you are separate from me, your issues do not relate to me, your pain is your own. Unity consciousness offers us an opportunity to expand our thoughts and our hearts to include all of life, to become less separate, and to return home to the Garden of Oneness. 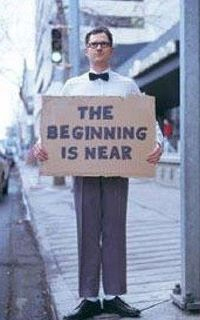 Now, as the final shift of consciousness is inspired by the conclusion of the Mayan Calendar’s 16.4 billion years of evolutionary biological and consciousness growth, it is no surprise to me to see people in the streets, all over the world, standing for a new paradigm. We may not know what it will look like, but we can feel the urgency of this time to make a quantum leap to a new sense of togetherness. The 99% are asking the 1% to join them on the social/political level, but in the background is an opportunity for people all over the globe to unite in spirit, to practice new skills for communicating, building bridges of understanding and compassion. The old paradigm looks for hierarchy and focus while asking… Who is your leader? What is your message? But as Marshall McLuhan would say “The medium is the message.” In other word, the manner in which people conduct themselves says more than any words, slogan, or sign. So, fear not these times for fear is the great divider. It separates us from our connection with life and most certainly distances us from our hearts. Whether or not you resonate with the idea of the Mayan Calendar, the Tarot, the stories of mythology or religions metaphor, just look around you and keep your heart and mind open to the atmosphere of change that is all abound. One of the greatest teachings I’ve learned from life is that to be present in this moment brings me the closest to being truly alive. Just breathe and know you are alive in this moment. And if your consciousness allows, feel your connection with all of life. Welcome home! ©2009 – 2019 Katrina Wynne, all rights reserved. Nothing herein may be copied, reprinted, reproduced, or retransmitted in any media format without express written permission of the author. I was scanning the net and came across your site where I noticed you had listed my book Forever Numerology. I appreciate that you have given it that acknowledgement. I have updated my work so to better prepare readers for the changes of 2012 and beyond. Perhaps you may want to include the website on your internet list if you feel it supports your perspective regarding the changes coming. So good to hear from you. I recommend your excellent work whenever possible and welcome your input and updates. Thank you for all your deep work in the world and many blessings as we all evolve on our sacred journey. ARE YOU AWARE OF 2012?? Is there something beyond what was touched upon in this article that you would like to share about 2012? For me and many of my friends and teachers, this is a spiritual time, a period of openness and grace as we move beyond fear, pain, and division, to embrace ourselves and each other 100%. Idealistic?…yes. Possible?…absolutely! Is this everyone’s journey?…no. Will there be challenges?…challenges are already here. Dr. Carl Calleman and Barbara Hand Clow are both saying, in their own ways, universal wisdom and evolution has done it’s job, so the rest is up to us now. It is as if we were each born with the tools and opportunities to manifest our greatest potential. We are the only one’s blocking our way. 2012 is a pivotal moment in time. My awareness is expanding to embrace as much universal wisdom as I humanly can. I enjoyed reading your article. I am fairly new to this “Spirituality” and the evolution of consciousness. I actually started a few weeks ago just out of curiosity of the Mayan Long Count. Studying that lead me to many other studies ranging from Quantum Physics to Religion. It has almost consumed me to the point of my mind is craving knowledge of existence right now, it’s quite fascinating. Anyway, a little about my back ground prior to the “Few weeks” that have just passed. Prior to this enlightenment I was what we call “Agnostic”, in which I’ve been Agnostic for about 6-7 years and was Christian for the years prior to those. I always grew up not knowing what was going on with life and always wanted to have the answers, I questioned everything, constantly. Anyway, I’ve never felt so better in my life now that I have found this spirituality inside of me. All the answers I always wanted are now coming to me when I research, and I’m starting to “Get it”, which is exciting, yet I feel it’s freaking some of my friends and family out. Well, I’m rambling now, I loved the article and I would also love to keep in touch through email. Peace! The latest book that really pulled together science with spirit for me was Carl Calleman’s “The Purposeful Universe.” I encourage you to read his detailed theory and see if any of it resonates with you and your current thirst for knowledge and spirit. As many spiritual teachers have shown, light and love are within…we just need to pause, and be aware.